A bronze statue of a dancing lady appeared from the remnants of the Mohenjodaro or rock paintings of humans while dancing made in India’s temples; Stupas, caves show the history and development of the dance with evidence. In India, different types of dances have been born and glorified the country. Each dance type has taken shape with the specific time and the effect of the atmosphere around. The holy book “Natya Shastra” composed by Bharat Muni in the 1st century AD, is still worshipped in the form of fifth Veda. This book has an outstanding collection of theories of dance and music in which the subtle astral analysis of the law and abstract representation of the dance. From this holy book, it proves that before the creation of Natya Shastra the dance had already attained its superiority and artistic excellence. According to the theory of “Natya Shastra”, dance is of two types – Tandava and Lasya (elegance). Tandava dance performed by Lord Shiva. This dance done with high power and strength. On the other hand, the Lasya is a gentle dance that represents the lyrical Lasya (elegance). Natya Shastra divides all human values in Navarasas and this Navarasas expresses nine bhava (emotions) – Shringara (love, pleasure); Veer (vigor, heroic); Rudra (anger, fury); Bhay (fear, concern); Ghrana (disgust, repulsive); Hasya (comic, mocking); Karun (pathetic, sad); Vishmaya (wondrous, Marvel); And Shaant (peace, tranquility). India presents many different styles of classical dance, each of which relates to different parts of the country. Each form represents the ethos of a particular region or group of individuals. Indian Classical dance performs the person’s postures, a stay comes to them, and the expressions come out in the form of emotions. The concept painted in the spirit, the charm of individual dance and the art of separation proficiency this, all three have a prominent place in classical dance. Indian classical dance still operated by codifying beauty theories mentioned in the Natya Shastra. According to the Natya Shastra, the dancer portrays the meaning of the play drama through four types of actions: presentation of emotion through the stylistic operation of different organs of the body; Verbal or speech, songs, vocal cord, and voice-style; Auspicious or costume and adornment; And total psychological resources. The classical dancer has a complex repository of stylized poses. For each part of the body, of which the eyes and hands are most important, the poses are traditionally determined. 13 for the head, 7 for the eyebrows, 6 for the nose, 6 for the cheeks, 7 for the chin, 9 for the neck, 5 for the thorax and 36 for the eyes, 32 for the feet and lower limbs, of which 16 fixed on land and 16 for air. Various movements of the feet, such as flaunting, fluttering, sidle, rhythm carefully used during a classical dance performance. One hand can have 24 postures (untamed hand) and 13 postures of both hands (combined hands), one hand stance can have exactly 30 different meanings from each other. For example, the flag (Pataka) stance of a hand, in which all the fingers can move forward, combined with the folded thumb, the heat, rain, the crowd, the night, the forest, the horse or the blowing of the birds can show. It can also use in the posture of the tri-flag (TriPataka) meaning crown, tree wedding, fire door or king. The Beehive, yawn or conch can be shown by adding fingers and using both hands in the carcass (crab). From these different meanings, the position of the hand or action will be different. Acting in a solo dance, drama, a man or a woman can perform actions of two or three significant characters respectively, changing the mood and mood of the face. For example, Lord Krishna, his jealous wife, Satyabhama and his gentle wife Rukmini can be a star by a single person. The aesthetic joy of Hindu dance and theatre depends on how successful an artist is in expressing a particular expression and raising the Ras. The Sangeet Natak Academy recognizes eight different forms of classical dance in India which are Bharatanatyam, Kathak, Kuchipudi, Kathakali, Manipuri, Mohiniyattam, Odissi, Sattriya. In Bharatanatyam, Kuchipudi, Kathakali, Manipuri, Kathak, Odissi all has been the principal element of God worship. Bharatanatyam (South); Kuchipudi (southeast coast); Kathak (North); Kathakali, Mohiniattam (south-west coast); Odissi (East Coast); Manipuri (Northeast); And Sattriya dance (Assam, northeast). Bharatanatyam is a combination of emotions, music, rhythm, and expressions. Bharatanatyam includes all the traditional aspects of an Indian classical dance – postures (hand position), acting (facial expressions) and Padma (narrative dance). Bharatnatyam is famous for its unique gestures. Mainly the fixed upper torso, legs bent or knees flexed out combined with spectacular footwork. It is usually done in two parts, the first dance and second acting. Dance produced from the parts of the body; it is essential for juvenile, emotional and imaginary expression. In Bharatanatyam, three essential elements of dance which are Sense or state of mind, Melody or melodrama, Rhythm or time adjustment have included skillfully. In the technique of Bharatanatyam, there are 64 principles of coordination of hand, leg, face and body operation, which executed in a dance course. In Bharatanatyam, the performer follows a seven-part order of presentation (Margam). The dance presentation begins with rhythmic invocation called Alarippu. It’s a pure dance as a preliminary warm-up dance without melody, which combines a thank you and blessings from the god and the guru. The next stage of the dance performance, adds melody to the Alarippu, the dancer performs without any expressed words. She performs a sequence (Korvai) to the rhythm of the beats of the drums of any Carnatic melody, presenting the combination of music, rhythm, and movements. The next stage of the classical dance performance, adds words (Shabdam) to the dance. Short compositions with words and meaning, in a spectrum of moods presented by the dancer, the vocalists, and the musical team. In this part, the different characters of dance art presented. In all the elements of Bharatanatyam, this fraction is the most challenging and most extended part of Bharatanatyam. The dancer performs the complicated moves such as expressing a verse at two speeds. The dancer presents the original composition, revelling in all her movements, silently communicating the text through codified gestures and footwork, rhythmically punctuated. Her hands and body tell a story, whether of love or a battle between the god and the devil. This part consists of simplicity, of drama (expression) of the solemn spiritual message or devotional religious prayer. This part is the last part of Bharatanatyam, the climax. In this episode, along with brilliant dance songs, different shades of the beauty of woman are shown. Women’s dresses involve a customised sari, a significant amount of jewellery, including bangles, rings, earrings, nose rings, and unique ornaments for the arms and head, anklets, ankle bells. Men usually wear a dhoti covering the lower body and no upper garment. The men also wear ankle bells. 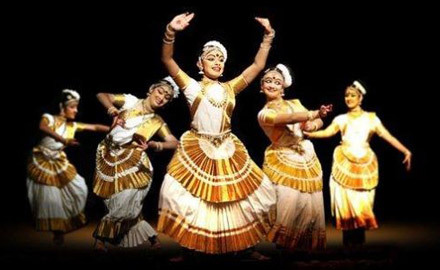 You can witness the beauty of Bharatnatyam with the Kerala tour packages offered by top-notch Kerala tour operator. Saroja Vaidyanathan, Rukmini Devi Arundale, Yamini Krishnamurthy, Malavika Sarkar, Vaijantimala are few of the famous classical Bharatanatyam dancers. Kathak means ‘Katha’ meaning a dance which describes a story. Kathak is a very ritual and pure Indian classical dance style, in which full attention to rhythm. 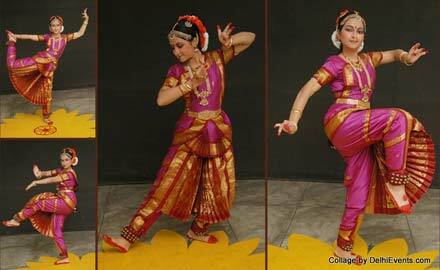 In this classical dance form, particular attention given to the foot stroke and roaming. Most classical Kathak dances depict the love stories of Radha-Krishna and the spring of their life. Kathak has an excitement and a speciality of entertainment which is due to the practice of the rhythm and fast rotation in it, which holds an active place in it and is the most critical feature of this genre. Kathak dance is mainly done in three parts which are an invocation, ‘Nritta’, ‘Nritya’. In the inauguration part, the dancer honors Hindu Gods and Goddesses, their master and musicians, through different mudras (poses) or hand gestures and facial expressions. If the group follows the Hindu tradition. In the case of Muslim groups, the dancer gives a salami or a salute. Nritta represents pure dance, where the dancer demonstrates a sequence of the movements of the eyebrows, neck, and wrist at the beginning, after which it gradually increases its speed and energy. Each of the small sections comprises spectacular footwork, turns and gestures encompassing Tora, Tukra, and Parhant among others. The dancer performs with musical beats, which completely synchronizes his footwork sequences thus creating a musical voice with the ankle bells, and usually with a sharp turn of the head impresses the mark completion of the series. In ‘Nritya’, the dancer reveals a story, spiritual themes, messages or feelings through meaningful gestures, and slower body movements harmonized with the music. Today, there are mainly three families or household of Kathak which are Lucknow family, Jaipur family, Banaras family. The Hindu female dancer comprises of a long pleated ‘Kurta’ (Shirt) worn over Pyjamas or a sari dressed in a unique fashion complimented with traditional jewelry. The costume for Muslim female dancers includes a skirt along with a tight-fitting trouser called Churidar or pajama and a long coat to cover the upper body and hands. A scarf covering the head compliments the whole attire which completed with light jewellery. The male dancer wears either ‘Dhoti’ (Loincloth) and ‘Kurta’ (Shirt) or a long shirt over a pajama or a Kurta-Churidar. Men may also wear an Angarkha. You can get a chance to enjoy the live performance of Kathak with Rajasthan tour packages offered by HTOIndia. 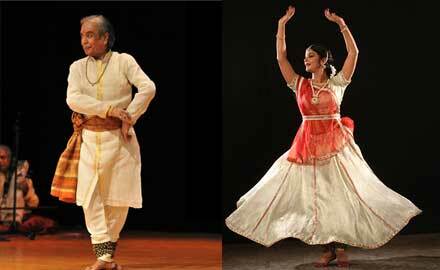 Birju Maharaj, Lachhu Maharaj, Sitara Devi, Shambhu Maharaj, Damayanti Joshi are few of the famous Kathak dancers. 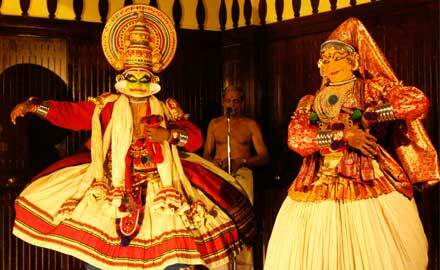 Kathakali is a famous classical dance of Kerala. Kathakali means ‘drama of a story’ or ‘a dance drama’. Kathakali is a mixture of dance, music, and acting. The most supernatural and mythological aspects related to life and work of divine beings, deities, demons, and saints displayed as Kathakali’s content. 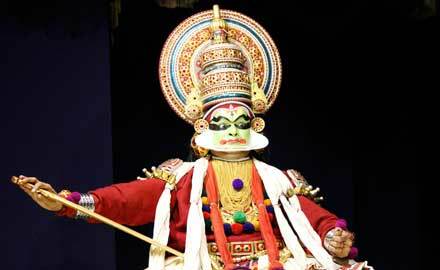 In Kathakali, the dancer stays silent and display dance with a wide range of hand gestures and favourite poses. There are mainly 24 mudras or gestures in Kathakali. Kathakali costumes and makeup reflects the symbolic nuances of Kathakali performances. The main feature of Kathakali is various activities of facial muscles. Apart from Kathakali, no other classical dance form does not use eyebrows, eyes and lower eyelids. In this dance form, the face becomes a playground for various conflicting expressions or feelings. Detailed makeup was done for specific identities of different characters. The singing style of Kathakali music has developed in a specific manner, whose speed is very slow. There are two leading musicians in Kathakali, in which the principal musician known as ‘Ponni’, and the other known as ‘Sinnakidi’. Two more musicians play Chenda and Maddalam (a type of drum). 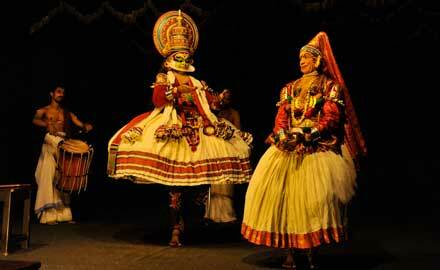 Mostly Kathakali men play the role of women, but for some time women have been involved in Kathakali. Kalyan Saugandhikam, Bali Vijayam, LavanuRudhadham, Nal Charitam and Sita Swayamwaram are among his famous dance dramas. Kathakali dancers are also known for their extensive, detailed make-up. Kings and heroes wear green make-up, villains wear green makeup with red marks on face, wear angry or evil characters red make-up, and a flowing red beard, hunter, and other forest people wear black makeup, while women and penance face has seen with yellow makeup. The whole Kathakali dance consists of a series of performances. First comes the Toyatam which performed behind a curtain & with the costumes and Puruppatu which performed with full ensembles with the curtain. The outfit is the most distinctive characteristic of Kathakali. The suits are cumbersome, intricate, elaborate, colourful and different as per the various characters like ‘Sathwika’ (hero), ‘Kathi’ (villain), ‘Minukku’ (females), ‘Thatti’. Most male characters wear dark, full-sleeved jackets with coloured or white bulging long skirts. Lengths of white cloth thrown over the shoulders are also there. The female characters wear their hair in a knot on the top of the forehead veiled with an ornamented scarf falling over red jackets coupled with a white sari covering the lower half of the body. The ornaments and jewellery include necklace, bracelets, bangles, and bunches of tiny bells strung around the ankles. Witness the exotic dance colors of Kathakali with South India tour packages offered by the top South India tour operator. Mrinalini Sarabhai, Krishnan Nair, K. C. Panicker, Udai Shankar are few of the famous Kathakali dancers. Kuchipudi is an indigenous dance style of Andhra Pradesh. In the most famous Kuchipudi drama, the story of Lord Krishna’s most jealous wife, Satyabhama, which hates sharing her divine husband with her sixteen thousand wives, and pledged to never come outside of the tenement. Then Madhavi plays the role of a kind and intelligent mediator to reconcile between Satyabhama and Lord Krishna. Traditionally, the role of women is also being played by men, in which the character of Satyabhama is the most prestigious. 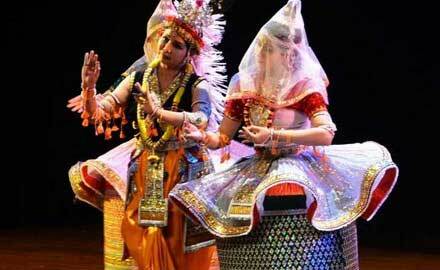 It is a drama known as the most popular dance drama of modern India, called Bhamakalpam. Other famous Kuchipudi plays are Usha Parinayam, Prahalad Charitram, and Gola Kalapam. In Kuchipudi, the dancer-actor communicates a story, spiritual themes, particularly on Lord Krishna through expressive gestures and slower body movements harmonised with musical notes thus engrossing the audience with the emotions and ideas of the act. Kuchipudi demonstrated in a very traditional way. After the regular worship (invocation) on stage, each artist enters the scene and introduces his character through a unique rhythmic composition Dharavu. After the introduction, the next section is Jatiswaram. In this sequence, present a pure dance, performed rhythmically to a musical raga. After that comes the drama, and this is the heart of the play. The actor-dancer uses his hand gestures, facial expressions, precise footwork to evince original story to the audience. Shabdam is a solo play or solo part of the performance, which may be a set of a poem, verse or prose in Kuchipudi. Varnam combines dance with gesticulation to express the rasa. In Padam, parts set of a poetry of love lyrics or express more profound sentiments. Padam constitutes conveying the emotion, figurative, and spiritual part of the play. With dance, an adjunct song in Carnatic music plays a supporting role in dance with songs such as Mridangam, Violin, Bansuri, and Tambura etc. and helps in furthering the storyline. The most popular form of Kuchipudi dance is Matka (pot) dance, in which a dancer fills the pot with water & keeps it on her head and hops by placing her feet on a brass plate. She dances on the entire stage while keeping control on the brass plate, and during this whole movement, a drop of water does not fall from his pot to earth to surprise the audience. It is characteristic of the art and costumes of this technique. There is nothing too much in its costumes and decorations. An essential feature of this dance is in its different type of decoration, and its female characters wear many ornaments like Rakudi (head ornament), Chandra Vanki (arm ornament), Adda Bhasa and Kasina Sara (neck ornament) and a long braid fitted with flowers and decorations. Usually, a Katcham wore with a long crease and a border in the centre. Though similar to Bharatnatyam, there are small side fans attached to the costume that differentiates it from the former’s outfits. Cross pleat costumes that used in Bharatnatyam also worn in Kuchipudi. Swapna Sundari, Yamini Krishnamurthy, Laxmi Narayan Shastri, Raja and Radha Reddy are a few of the famous Kuchipudi dancers. 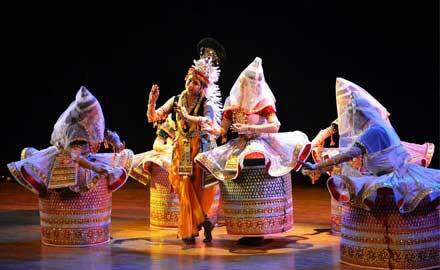 Manipuri dance was born in the state of Manipur in the north-eastern part of India. It is one of the leading dances among the various styles of Indian classical dances. The universe, the creation of the world, the human body, and human activities described in this dance. Dancers of this dance keep their feet on the ground with tenderness and softness. There is a local story behind this concept is that when God created the earth, it was like a body. Seven Lanwarah danced on this newly created hemisphere, softly pressed it to make it stable and smooth with its feet which is the beginning of the rise in spirituality. This dance is based primarily on Hindu Vaishnav incarnations, in which the love affair of Radha and Krishna is prominent. 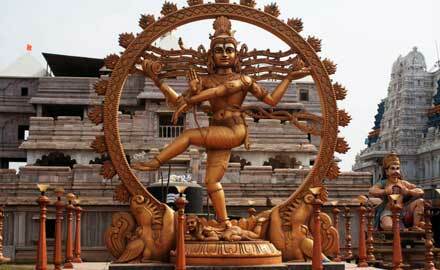 The themes used for the dance are of Vishnu Purana, Bhagwat Purana, and Geet Govind. Balance and strength are the key features of this dance style. In this dance, the body moves slowly, with sheer magnificence and breathless movement flowing to the fingers. This art exhibits first events of Vishnu ‘s life, and its expression is most gentle and powerful. Manipuri is a group dance in which all dancers wear the same distinctive costume (Kumil). In this dance, the dancer’s pose, primarily based on his hands and upper parts of the body. Manipuri dance features rounded softly, sensual movements of women and fast movements by men. Dancers keep their feet on the ground with tenderness and softness. The play and songs, recited during the dance performance center around the love and glees between Radha and Krishna, in the presence of other Gopis. There is a composition and dance sequence for each Gopis, and the words have literal and spiritual meanings. The dancer is playing Krishna express emotions, while the body language and hand gestures of the Gopi display their feelings. The women wear a tight-fitting conical cap of black velvet or other material, trimmed with a border of synthetic pearls, under a thin white veil. The choli or tight-fitting bodice is usually of velvet with tight sleeves trimmed with gold embroidery. The ghagra or flounced skirt is a striking color, yellow, red or green and usually of silk with a wide border at the bottom of the dress consisting of a design of sequins. The male dancer wears a dhoti with embroidered bands across his chest, ending in flaps that fall over both hips. In the Ras-Leela, Krishna gorgeously attired in a pleated dhoti of gold or yellow silk; the chest is covered with glittering necklaces while wristlets and armlets adorn the arms. Savita Mehta, Ritha Devi, Jhaveri Sisters, Thambal Thama, Kalawati Devi are few of the famous Manipuri dancers. Mohiniattam derives its name from the word ‘Mohini’, a female avatar of Lord Vishnu. 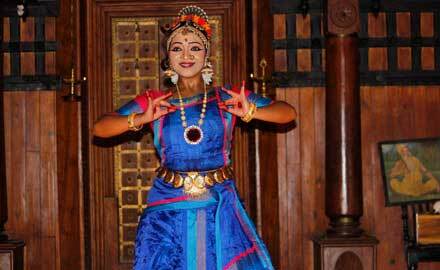 Mohiniattam is related to the ‘Lashya’ style, which is feminine, soft and beautiful. The acting emphasised by a serpent, and on the claw is acting up and down, which is similar to the waves of the sea and the slopes of pond plants in coconut palm trees or the farm. Conventionally a solo dance performed by female artists, it emotes a playthrough dancing and singing where the song is customarily in Manipravala which is a mix of Sanskrit and Malayalam language and the recitation may be either performed self by the dancer or by a vocalist with the music style being Carnatic. The start of Mohiniattam dance starts with the singing of Cholkettu. Traditionally, the story of Lord Vishnu’s Sagar-Manthan staged in Mohiniattam dance, in which he destroys Bhasmasur by wearing the form of Mohini during the Sagar Manthan. Beautiful scenes of Kerala, coconut waving trees, Boats turning on the water of its lagoon reflected in the soft dance pattern of MohiniAttam. The feature of ‘MohiniAttam’ is the elaborate, shaky physical act of sudden shock or bounce. Footwork presented with softness. Hands emphasised and face-to-face expression with eccentric oral expression. Mohiniattam includes Nritta (pure solo dance), and Nritya (expressive solo dance). The Nritta performance accentuation on beauty in motion, range, form, speed, and pattern with real movements. This is an essence, rhythmic aspect of the dance that appears early and at the end of the dance. There is no storytelling in Nritta section. The Nritya is a dance-acting expands to include a silent expression of words through the face and hand gestures as per the music. MohiniAttam is a significant aspect of the dance that tries to deliver the story with emotions and feelings. In MohiniAttam, a comfortable suit, decoration and simple outfit held. The dancer decorated in the beautiful Kasavu sari, which is white and gold-colored in Kerala. Usually, Mohiniyattam jewellery set consists of necklaces, ‘Vanki’ (armband), ‘Oddiyanam’ (waistband), nose stud (Nath Bullaku) and ‘Jimikki’ (swinging ear ornaments). Bharati Shivaji, Ragini Devi, Hema Malini, Kalamandalam Kalyanikutty Amma are few of the famous Mohiniattam dancers. 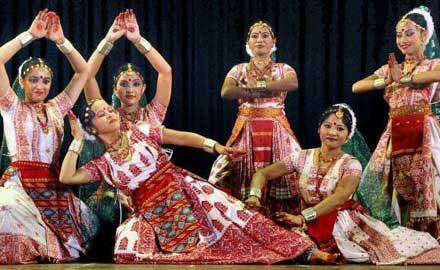 Orissa’s traditional dance, Odissi, was born by the dance of devadasis in the temple. 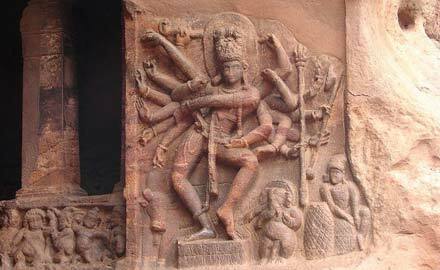 The Odissi dance found in the Inscriptions, it depicted in the Inscriptions of the Brahmeshwar temple, along with it is mentioned in the central chamber of the Sun temple of Konark. The Odissi dance is devoted to Lord Krishna, and its verses taken from the play of the theatrical song Govindam, which is used to show love and devotion to God. In Odissi dance, stories are told about the eighth embodiment of Krishna, Lord Vishnu. It is a gentle, poetic classical dance that praised in the surroundings of Orissa and the glory of Lord Jagannath, the most famous deity of Lord Jagannath. The Odissi dance starts with greeting Mangalacharan is later followed by an offering of flower (Pushpanjli) and salutation to mother earth (Bhumi Pranam). The next line of the display is Batu or Batu Bhairava, which is a speedy and pure dance devoted to Lord Shiva on rhythmic music only without songs. This classic dance sequence in Odissi builds up to a Pallavi which is often slow, graceful & lyrical movements of the eyes, neck, torso & feet & slowly builds in the swell to climax in a fast tempo at the end. The next part is the Nritya which involves expressive graceful, sensual dance and drama to communicate a story, song or poem through hands gestures or movements, emotions or beliefs, changes of the eye and the body. The next section includes drama based on Hindu mythology and epics in the show. Spiritual liberation included in the finale in the performance sequence. Odissi dancers wear a stitched dress or a traditional Sambalpuri Saree to perform. Tikka (forehead ornament), Allaka (headpiece on which the tikka hangs), Earrings (mostly peacock shaped) with Jhumka (pendant), bangles, Necklace are main jewellery and ornaments. 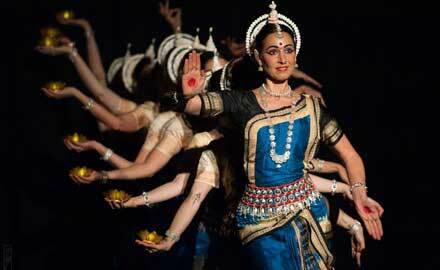 Sonal Mansingh, Kiran Sehgal, Indrani Rahman, Gangadhar Pradhan, Madhavi Mudgal are few of the famous Odissi dancers. One excellent characteristic of this dance that stands out is the dress and the ensemble cast, which looks like the integration of different colors which all join together and embrace each other and create a unique and distinctive style which made of Assamese Demonstrates grandeur and cultural heritage. Traditionally, this dance was initially performed in the monasteries only by ‘Bhokat’ (male monks), as a part of their daily rituals or for marking unique festivals. But now, today Sattriya dance is also performed by the females and also by the members outside of Sattras. The origin of Sattriya dance is usually mythological stories. It was an artistic way of presenting mythological teachings to people in an accessible, immediate and entertaining way. This Indian Classical dance carefully follows all the hand gestures, footwork, postures, rhythms, and all other relevant things as mentioned in ancient Natya Shastra and to other classical dance forms such as Bharatanatyam Odissi, Kathakali, etc. Some essential elements and features of Sattriya are same as Manipuri dance. 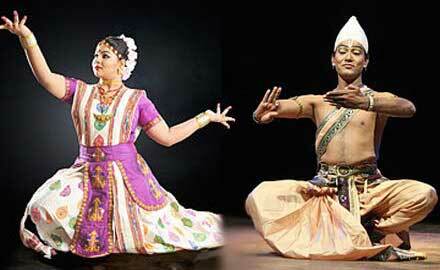 Similar to all other classical dance forms Sattriya completes in three categories which are Nritta, Nritya, and Natya. The content of Sattriya dance is usually based primarily on the stories of Krishna-Radha relations, or sometimes on the stories of Ram-Sita. The basic dace unit of Sattriya is called a Mati Akahara, equal 64 just like mentioned in Ancient Natya Shastra are the foundational set dancers learn during their training. A performance unifies two styles, one is masculine (energetic and with jumps), and feminine (Lasya or delicate), (energetic and with jumps), and feminine (Lasya or delicate). The male ensemble is comprising the dhoti and chadar and the female attire consisting of the Ghuri and Chadar. The waistcloth which is known as the Kanchi or Kingkini has worn by both the male and female dancers. The ornaments, too, are based on traditional Assamese designs such as Kopali on the forehead, Muthi Kharu (bracelets), Thuka Suna (earrings) and Galpata, Dhulbiri, Jethipata and Bena (necklaces). 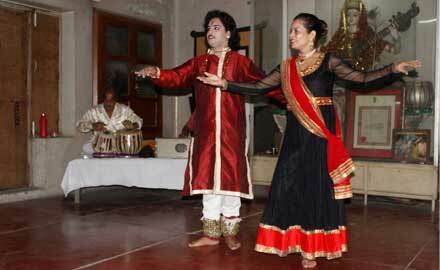 Ramakrishna Talukdar, Krishnakshi Kashyap, Anita Sharma are a few of the famous Sattriya dancers. India has huge diversity which shows in its art, culture, music, languages, food, dressing and many other things. Apart from these classical dances, various tribal communities of India has their own unmatched style of dancing. Checkout a state wise list of popular folk and tribal dances of India here. Tejpal Choudhary is a solo traveller, writer, editor, publisher, and geocultural explorer with an emphasis on travel writing, landscapes imagined and real, memoir, poetry. Howdy! This information couldn’t be shared in much better! Reading through this article reminds me of my last south India tour where I got chances to see live performances of kathakali. What is the best way of enrolling for some program of bharatanatyam ? Ingrid, great that you liked the post. Good to know that you already been to India and enjoyed Kathakali. Do you want enrol for an online training program or a tour ? Greetings from Carolina! I really like the information you provide here. I am looking for some training in Indian Classical dances and I will read this post again in free time. Thanks for putting it together in a nice way. Hey Carolina, glad that you liked our post. Good luck with you classical dance training.